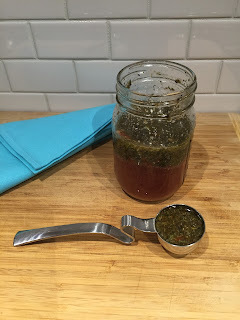 A few years ago I decided to make my own salad dressings. There were a couple of reasons I wanted to do it. The first and foremost was that I didn’t like the after taste left in my mouth by store bought dressings. And then when looking at the ingredients I saw there was inevitably too much added sugar and salt, emulsifiers (like xanthan gum or wheat) and synthetic preservatives or colors. It made sense to me to experiment making my own dressings. I developed a delicious mustard vinaigrette made of healthy ingredients. Then over time I kept making it healthier and healthier so it had less oil and more fresh ingredients like lemon juice. 1. In a small bowl, mix all ingredients together. Use 2 tablespoons dry mix per recipe of salad dressing. 2. Store remaining mix in an airtight container to be used as needed. Makes about 4 recipes of Herbal Italian Dressing. 1. In a glass jar with a top, add all ingredients. With top firmly in place, shake well. 2. Store in the refrigerator. Stores well for 2 – 3 weeks. Makes about 1 cup. Serving size: 2 tablespoons per person. Calories per serving: 35. 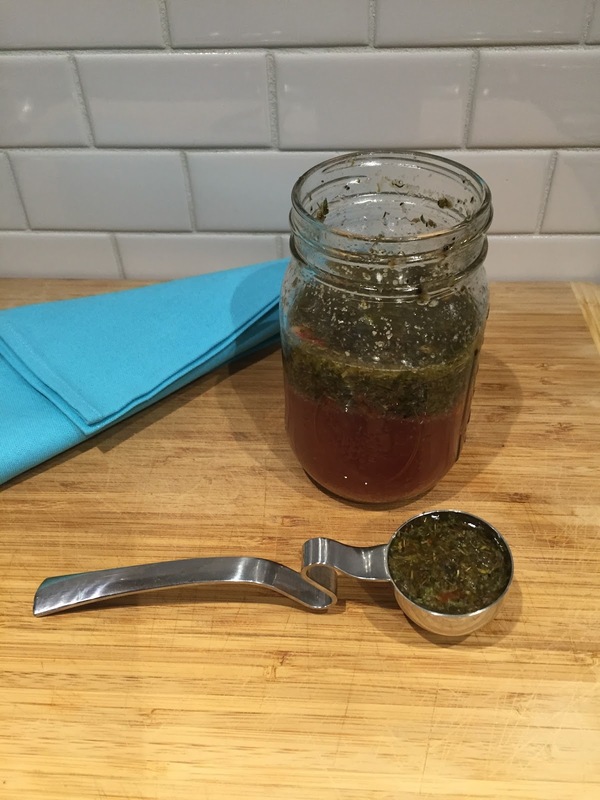 Looking for a handy way to serve up right-sized portions of salad dressing? Try chic and trendy LivSpoons.